Yes! We're off to London. At the end of June Paul and I will be heading down to London, and to say I'm looking forward to it is an understatement. The trip is for my birthday, and we plan to do as much exploring as we possibly can the three days we have there. Also, something that has me giggling with excitement every time I think about it, is that we will be visiting the Harry Potter Studio Tour! Just in case I've never mentioned this to you - I'm sure I have, I LOVE Harry Potter! It's on almost weekly in this house, so to get to go on the tour is a huge highlight of the trip! One thing that does make me a little anxious, is the Tube. I need to look into it some more before we go, but honestly it confuses me to no end. I have no idea how you lovely London lot do it so easily. 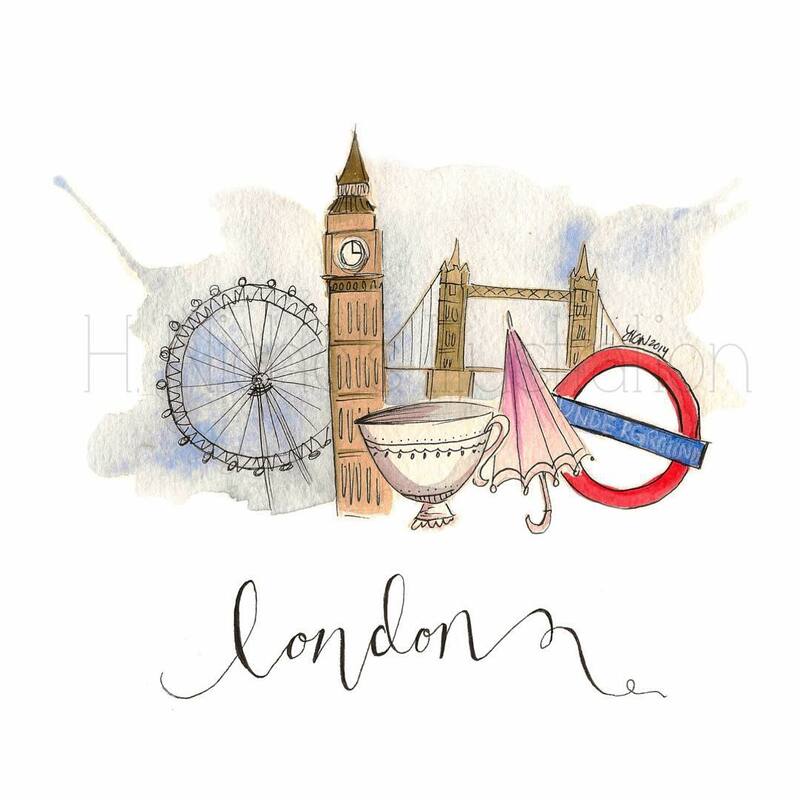 If you're no stranger to London and have any recommendations of thing we must do while we are there I would love to hear them. There is nothing better than local knowledge for the best places to eat, or the best things to do. So any help would be much appreciated! Harry Potter Studio Tour: Obviously, as I just mentioned how much I love it. Paul's brother visited last year with his girlfriend and they had nothing but amazing things to say about it. Plus! There is a new area now, so even more to look forward to. Borough Market: All the time scrolling through Instagram and seeing picture of picture of this place, and mainly "those doughnuts" has left me desperate to try them. I will definitely be hunting them out the first chance I get! I have also been told that they are far better than I can even imagine...so I have high hopes. Beautiful Streets: There is little Paul and I enjoy more when visiting new places, even places close to home, than spending time just wandering around. Getting to see parts of a town or city that you would miss out on if you were speeding from place to place on public transport. While we can't walk everywhere, I'm looking forward to seeing as much as possible. Tourist Attractions: As this will be our first time in London, it would be silly not to try and see things like Big Ben, Buckingham Palace, The London Eye and so many others. Within reason of course -we only have a few days. Afternoon Tea: There are so many options for afternoon tea in London that I am overwhelmed with choice. So needless to say, we don't yet know where to go -but we will be going somewhere. Suggestions? I think the Tube seems much more confusing than it actually is, I actually found it much easier to navigate than the train systems in Australia.